Seven of the ten best-selling U.S. drugs, including arthritis therapy Humira, have lost their main patent or will soon do so. Rivals hoping to duplicate these so-called biologics face a thicket of legal and market curbs. But a determined FDA may soon slash a path to lower prices. A pharmacist counts pills in a pharmacy in Toronto in this January 31, 2008 file photo. The U.S. Food and Drug Administration has approved 10 biosimilar drugs, or competing versions of existing therapies such as antibodies produced in cells via genetic engineering. The FDA considers the drugs to be highly similar to the original biologic and have no clinically meaningful differences. However, unlike traditional generic drugs, these are not considered exact copies because of the complexity of making drugs in cells. Only three of the 10 biosimilars are currently being sold on the market. 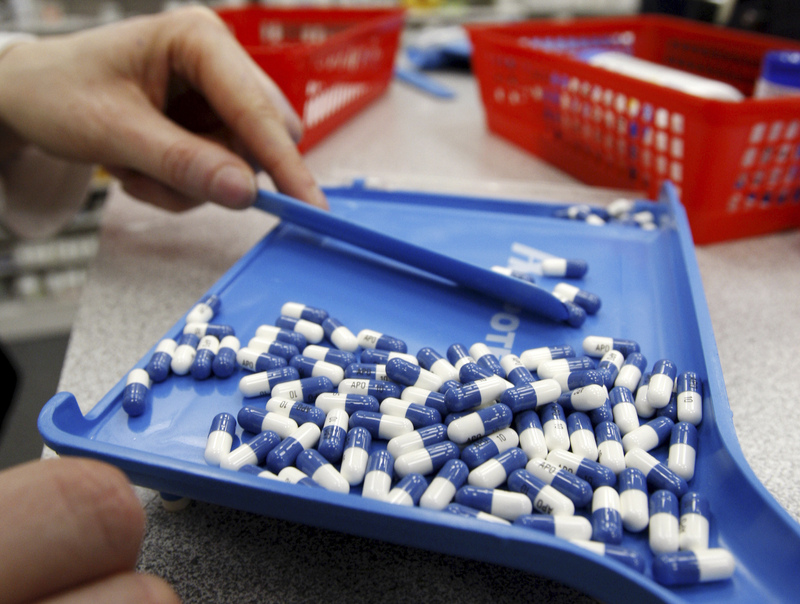 Seven of the 10 best-selling drugs in America are biologics. The primary U.S. patents on all of them have expired, or will do so by the end of next year. The combined U.S. sales of these seven therapies was $38 billion in 2017.